We read 70 choice novels last month! Each link in that brown paper chain represents a book finished during the month of November. Each day, we read our choice novels for the first ten minutes of class. No matter what. I encourage abandonment of books that don’t quite fit, I conference with students, and I model reading for students. We practice reading the things we like to get better at reading the things we might not like. I keep a chart of our choice novel progress on one of our bulletin boards. We’ve read 208 choice books so far this year! Last week, I saw a poem by Joshua T. Dickerson posted on Twitter. I don’t know anything about this poem. I don’t know anything about this poet. But it stuck with me, and I knew my students needed it. I haven’t always been a “give the kid a damn pencil already” sort of teacher, but I have been for the last few years. No bargaining, no collateral, no quarters, no shaming. I just give the kid the damn pencil. I didn’t have any Great Revelation. 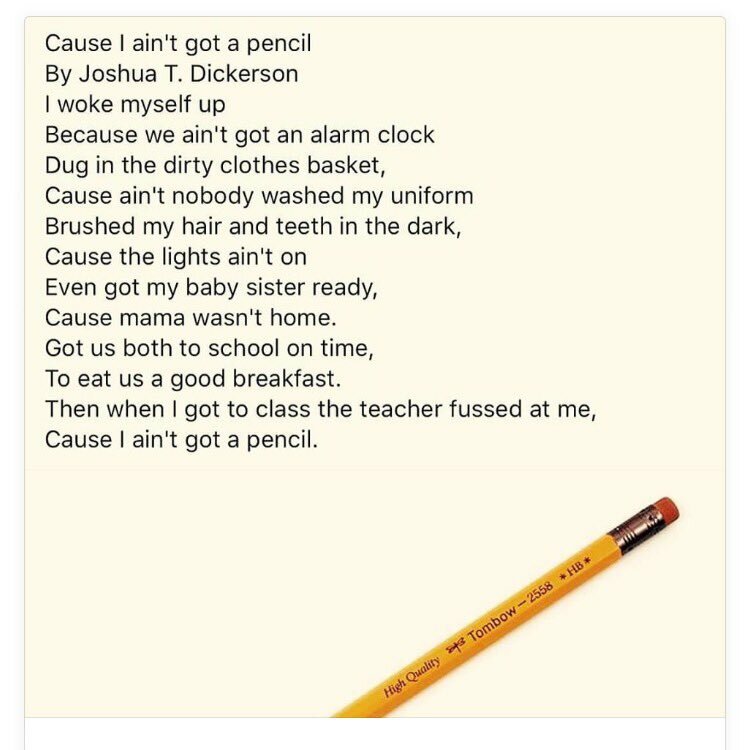 I just remembered: It’s not my job to teach my students how to keep pencils, it’s my job to teach them how to read and write. They need a pencil for that. I knew they’d connect with this poem. As we move into practicing informative writing, I used this poem as a mentor text today on how we can “show and tell” in our writing. We analyzed it together, first in notebooks, and then out loud. We pulled it apart, and we debated it on whether or not this teacher was a jerk, citing evidence from the text. 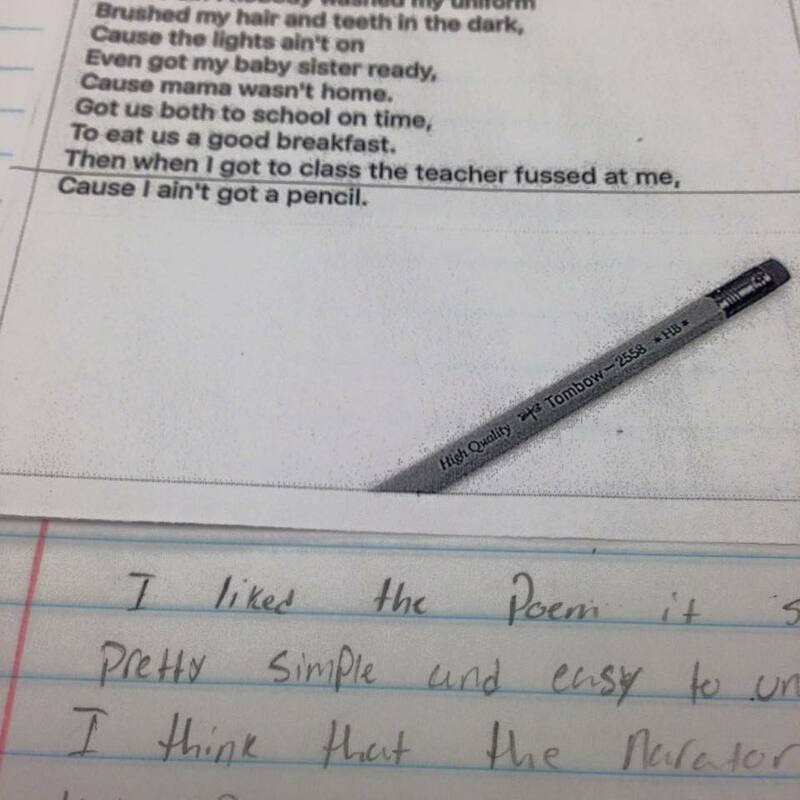 I said that I thought the teacher was a total jerk, and some students agreed, using evidence from the poem to back up their claims. 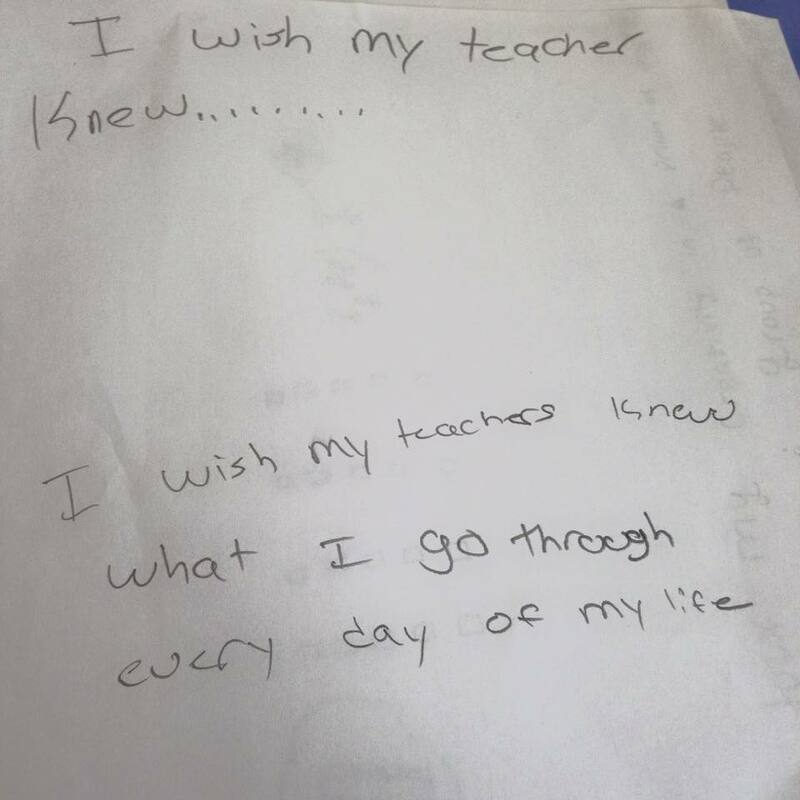 After we talked, and I introduced informative writing, my students spent five minutes writing in their journals about what they wished their teachers knew about them. Afterwards, they spent 5-6 minutes illustrating their thoughts on computer paper. 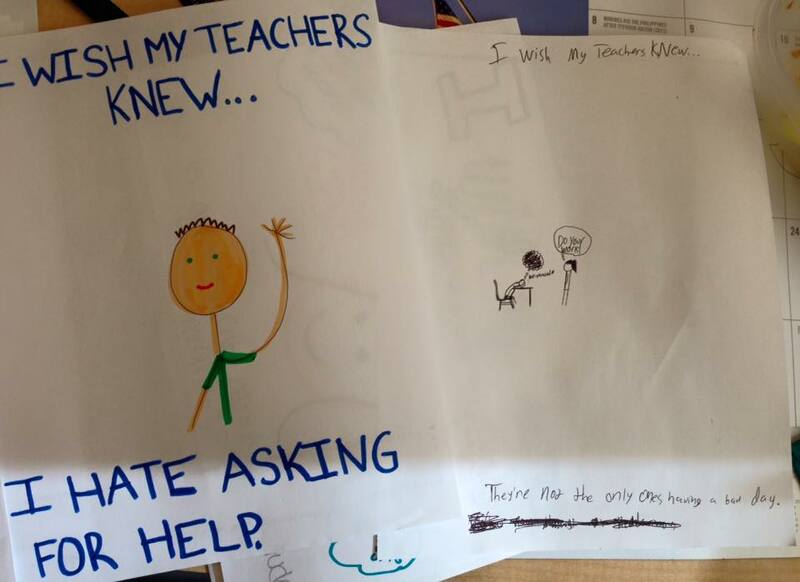 They knew I’d be showing these to other teachers, but I promised that they’d stay anonymous, even as they were handing them to me (nameless, upside-down) on their way out the door. As you’d expect, many were heartbreaking. Inform and explain. Show and tell. Tell and show. We won’t know unless we ask. Genre Study: Our (first) final numbers. Today was the due date for my students’ summative assessment and the end date of our genre study. 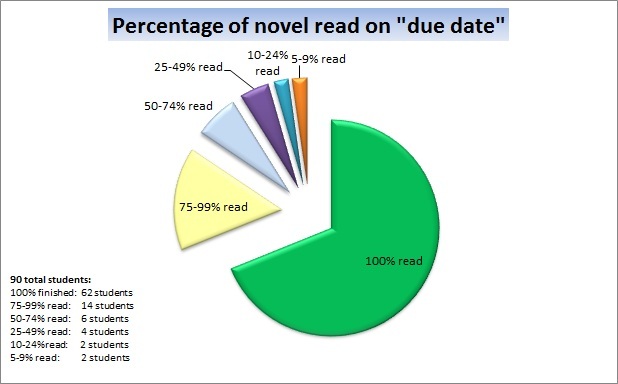 I detailed some preliminary numbers on the reading “due date,” and things have just gotten better. 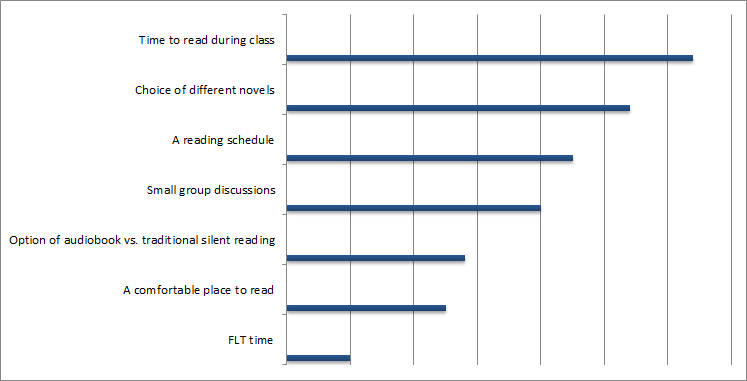 In order to judge whether or not my students read more in this workshop model than with a whole-class novel, I had to measure my data against something. 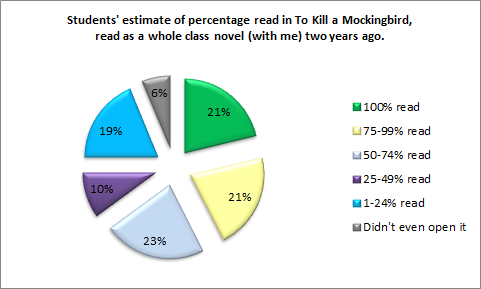 I taught this same group of students To Kill a Mockingbird as a whole-class novel two years ago, when they were freshmen, so I decided to (anonymously) poll them on how much of that book they actually, really, truly read. I wasn’t surprised by the numbers below, but I was surprised that most of the students who admitted to fake-reading the book are currently in my Honors class. Isn’t this a bizarre looking pie chart? 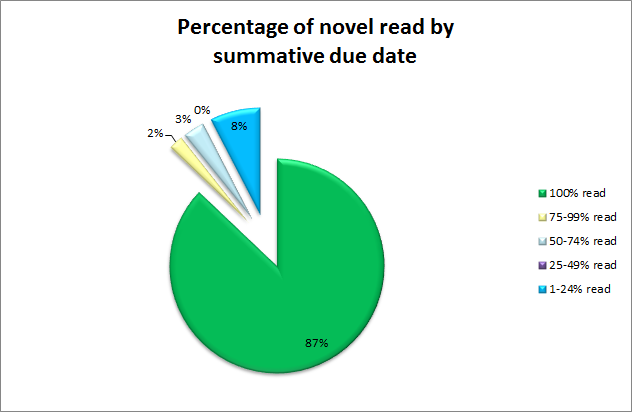 When polling my students on their summative due date, 87% percent of them had read the entire novel. That 1-24% is really getting me down, but it shouldn’t: I had a few students who just refused to read and refused choose a different book. They spent every period peacefully protesting our reading workshop…but they still read their choice book every single day. 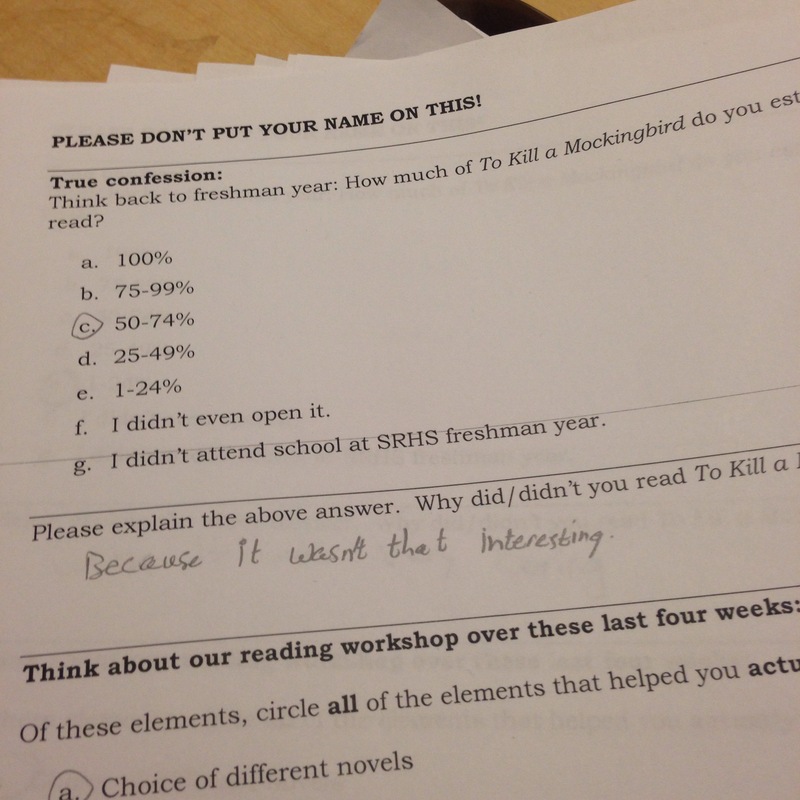 Some in the 50-99% range admitted that they used SparkNotes over the weekend instead of *just finishing the book*. That’s also disappointing. BUT 87% OF MY STUDENTS READ THE ENTIRE ASSIGNED NOVEL?! 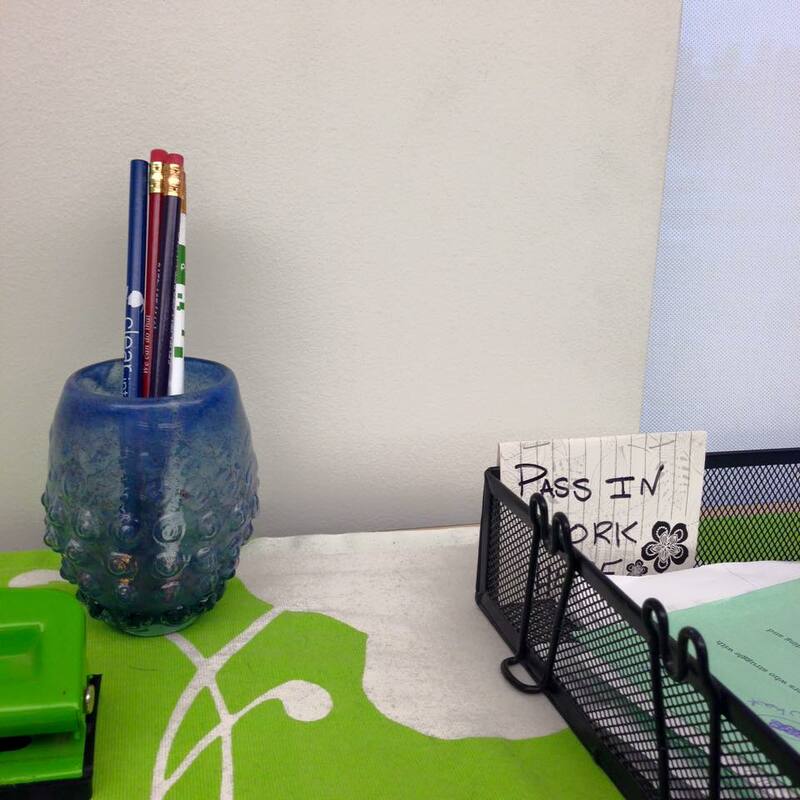 What worked for my students? When polling my students on what worked and what didn’t, they indicated what helped them the MOST in reading and finishing their novel. 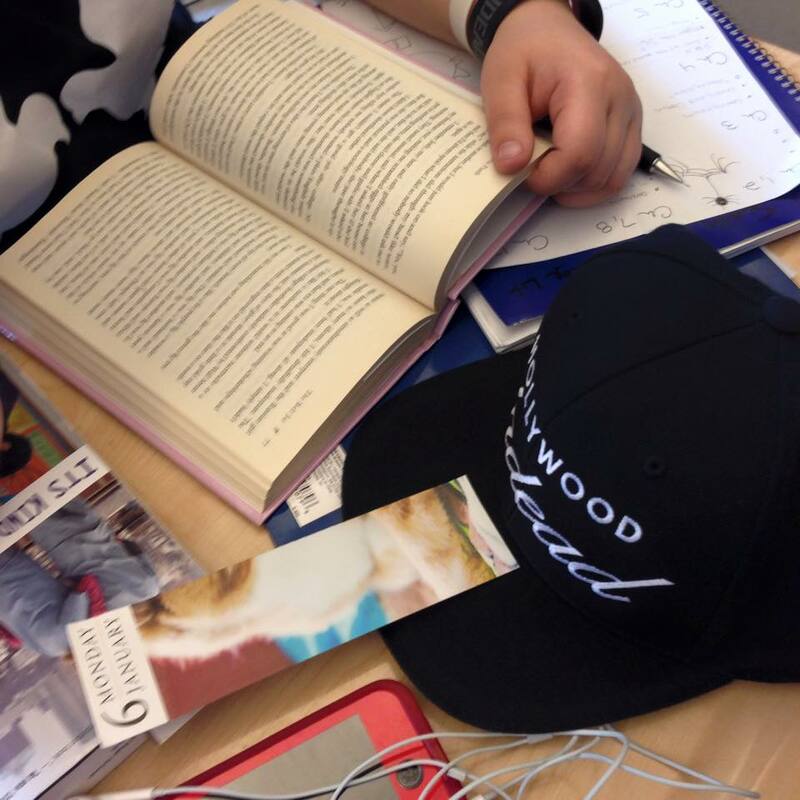 Having time to read during class and a choice of texts was the most helpful to my students. It was surprising to me that having a reading schedule followed closely behind. When asked what didn’t work, they said they wanted more time. I won’t run another genre study for another few months, but as I prep for next time, I know that I need to add another week onto this unit. I’m also planning to schedule small groups ahead of time on the reading schedule, because we often ran out of time for specific groups to chat. My students want me to throw out the discussion points (because they hate doing them), but I’m keeping those to guide our small group discussions. Because I’m the boss. We read 74 choice novels last month! 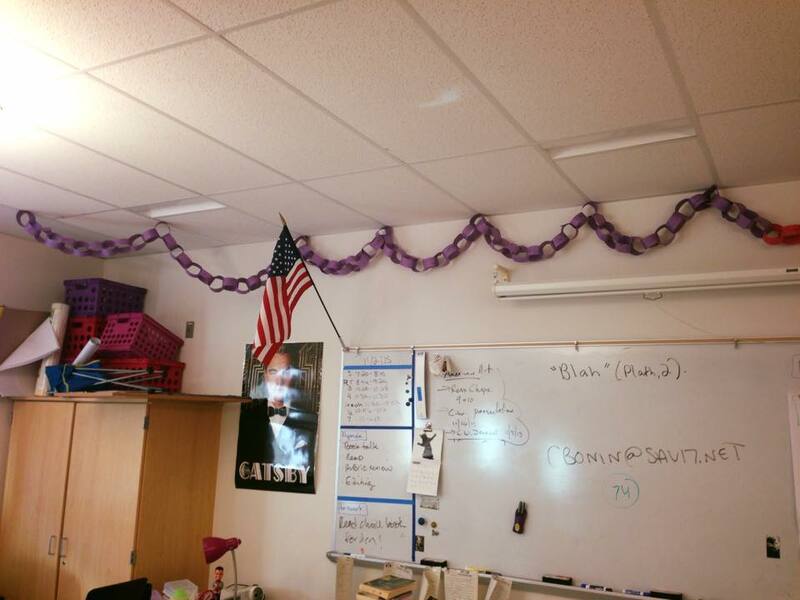 Each link of this purple chain represents a choice novel finished during the month of October. Even while we run through a literature unit, the choice reading we do at the beginning of class is my number one non-negotiable. 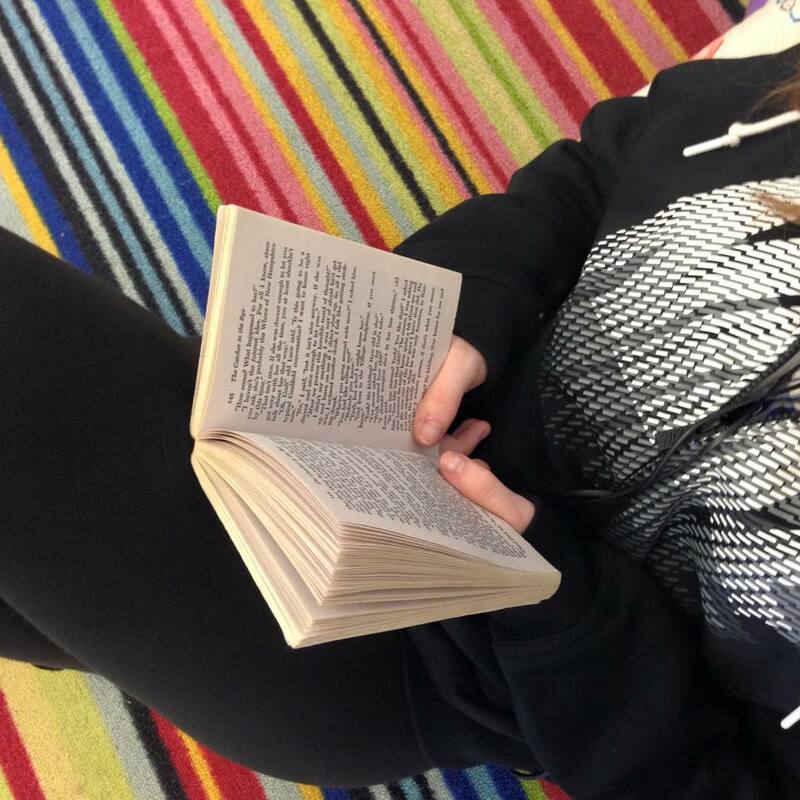 No matter what, we read for the first ten minutes of class, reading the books we like to read, just to read them. Even if I’m behind in my curriculum, we read our choice novels during the first ten minutes of class. It’s important to me to separate the “fun” literacy we start our class with from the “work” literacy we do afterwards. That’s 138 choice novels read so far this year! This week, most of my students spent class working on the summative performance assessment that I created before we started this unit. 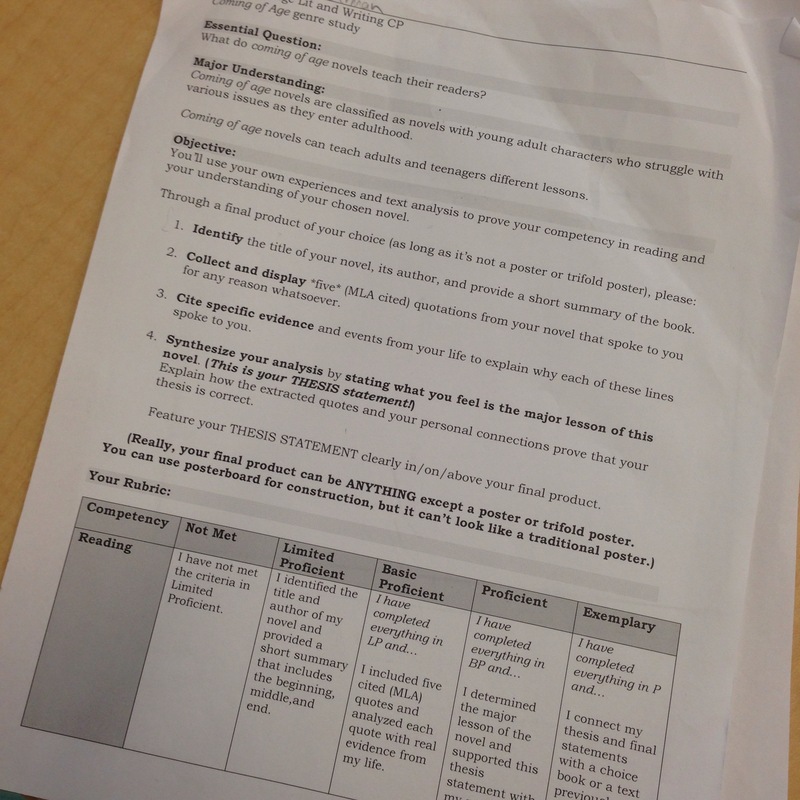 This assessment is designed only to measure their reading competency, so they have the choice to do whatever they want to do to show me what they know (except a poster, because I want them to think beyond the simplicity of a poster). 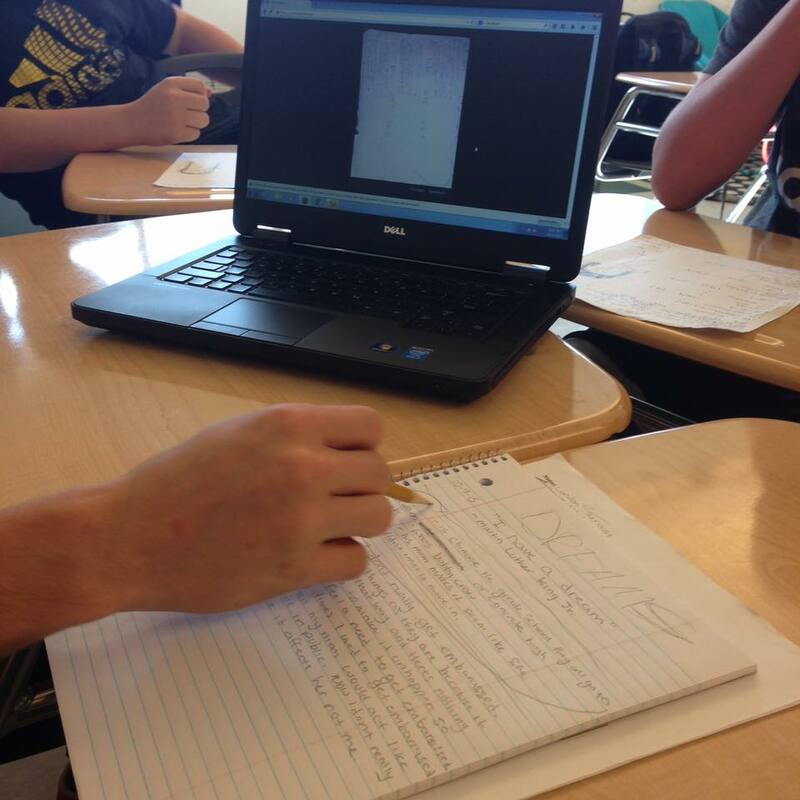 Most of my students have chosen to write essays to demonstrate their reading competency, while some are demonstrating their knowledge through more hands-on projects or slideshows. It feels strange to them that I’m not assessing them on their writing with this assessment. I’m not sure if it’s related, but I’ve noticed them asking me many more questions about organizing and crafting their writing than when we’re doing a designated writing task. They’re using their discussion points and pithy quotes to help them build their essays and projects, which have been really helpful to remind them of plot points and character traits as they work. This summative is due on Monday. …which means that many are taking work home over the weekend. 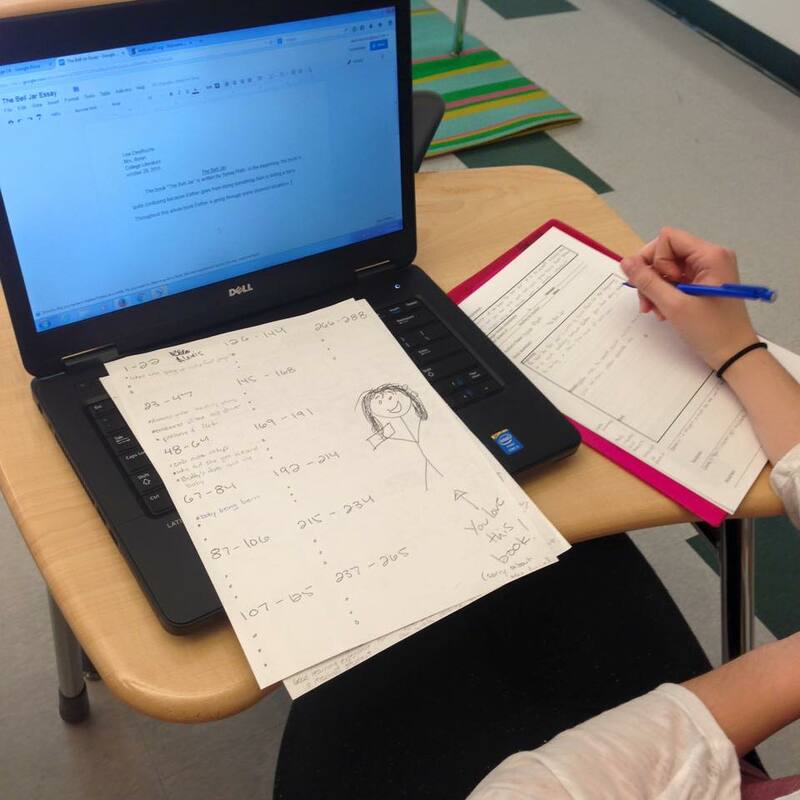 Some students have chosen to to finish their summative assessments in a corny “summative party” I threw on Friday afternoon (with Halloween candy, obviously) to finish their work before the weekend. Most of those students stayed until they finished. I do not give zeros for missing work. Ever. 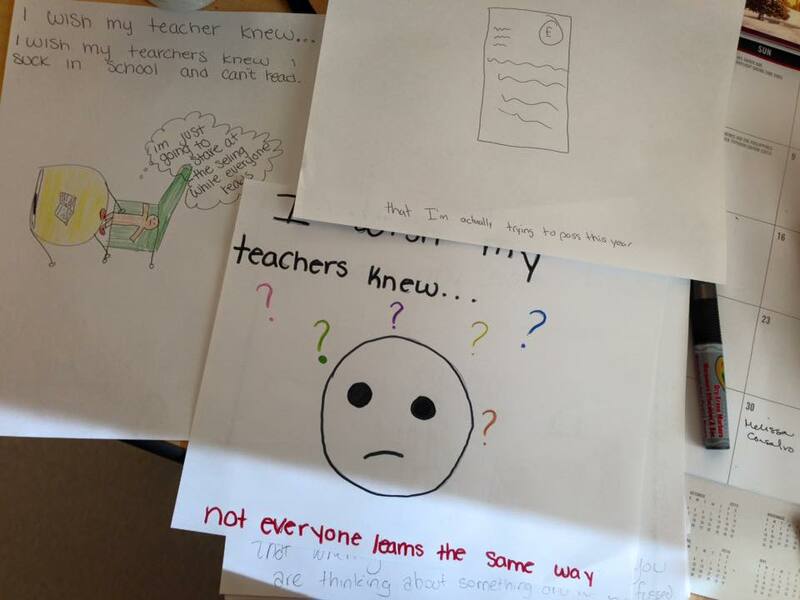 I try to design alternative assessments that ensure student success and accurately measure what they know…not to shame students for not completing their work. While it’s frustrating that some students didn’t/don’t/will never meet deadlines, I have to remember the purpose of assessment: to find out what they know, and to find out what I need to do to get them there. 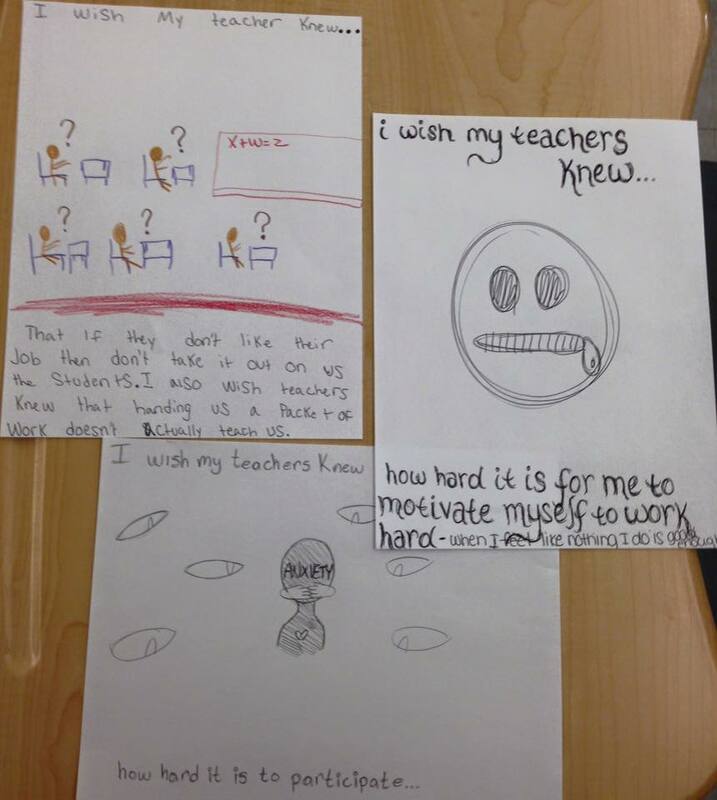 I have to remember that many of my students don’t have the support at home that they do in my classroom. If I know that they’re only reading the book during our class time, I also need to give them time during class to demonstrate what they know about what they’re reading. Genre study: The due date. I’m sitting on some pretty staggering data this afternoon. After three weeks of running a reading workshop, my students were scheduled to be finished with their assigned novels by today. I am absolutely flabbergasted. I knew that things were coming together, but I did not expect data like this. I feel like a champion. What about the students who haven’t finished yet? While the students who met the deadline work on their performance assessments next week, the students who weren’t finished with their assigned novels will read until they finish. When they finish, they’ll show me their discussion points and sit with me to recover discussion credit. After we talk, I’ll give them their performance assessment. If they haven’t shown me their discussion points by the assessment due date, they’ll receive an alternative assessment during class to tell me what they know at that moment in time, with an opportunity to revise if necessary. Reading Workshop: What’s going on this week? In my previous post, I detailed what a genre study looks like in my classroom. This student forgot his discussion points at home, but still wanted to join the group. So he called his dad and had his dad post a picture of his points on Facebook, and then brought that Facebook post into our group. We’ve had a great week of rich, small-group discussions. 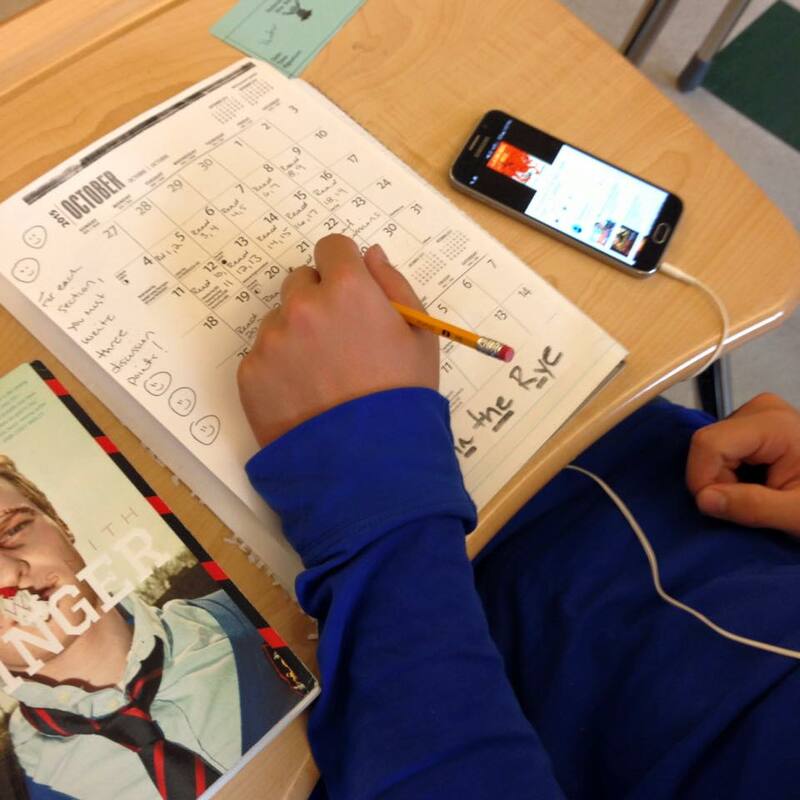 A group of boys reading This Boy’s Life in my third period class have championed through their discussions and drive-by sold the book as a choice read to their eavesdropping classmates. While my students are reading and writing discussion points for this unit, they’re also pulling pithy quotes from the novels that they can connect to in some way. By next week, they should have ten quotes and corresponding analysis compiled in their journals. They’ll reuse those on their summative assessment. One student, currently reading The Bell Jar, has been obsessively pulling out quotations beyond her required ten. She just can’t stop. The book speaks to her. 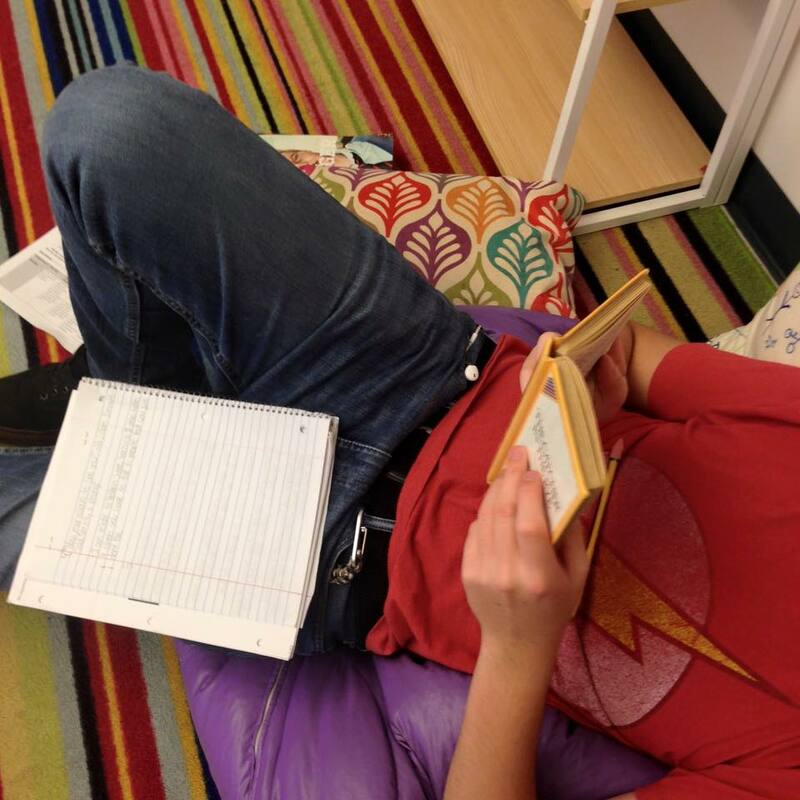 I’m trying to be more flexible with how students are accessing the texts. This student chose to listen to the audiobook of The Catcher in the Rye via YouTube and write his discussion points as he listens along. 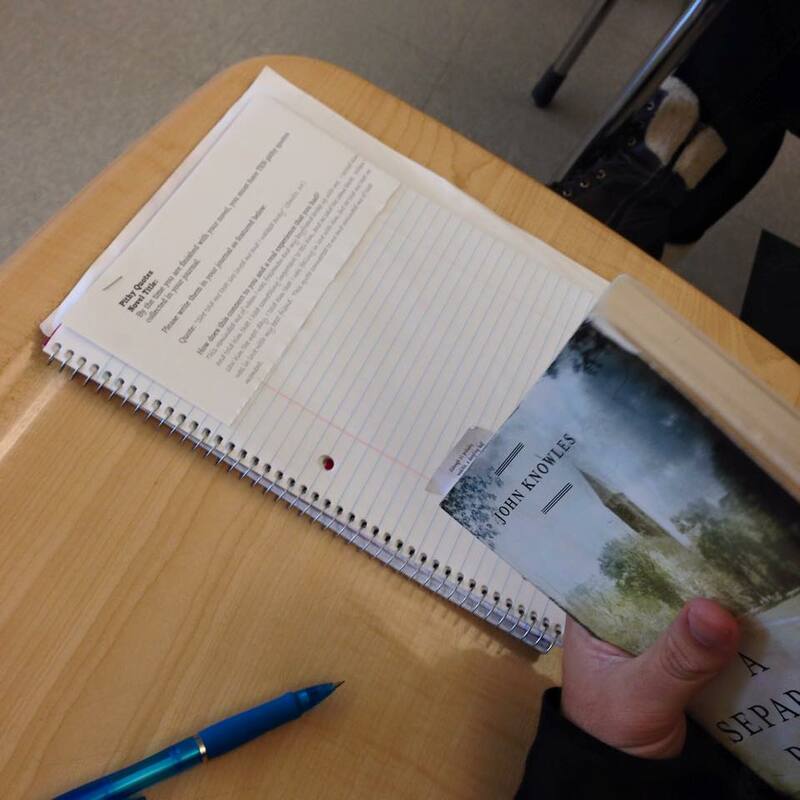 I have students accessing their assigned reading in all kinds of ways this year. Most are reading silently. Some are listening and reading along with the recording. Some are just plugged into the audiobook. Are they still “reading” when they listen to the audiobook? Not traditionally, but they may be “reading” more than they would be if they didn’t have access to the audiobook, right? I’ve also been rescuing students. 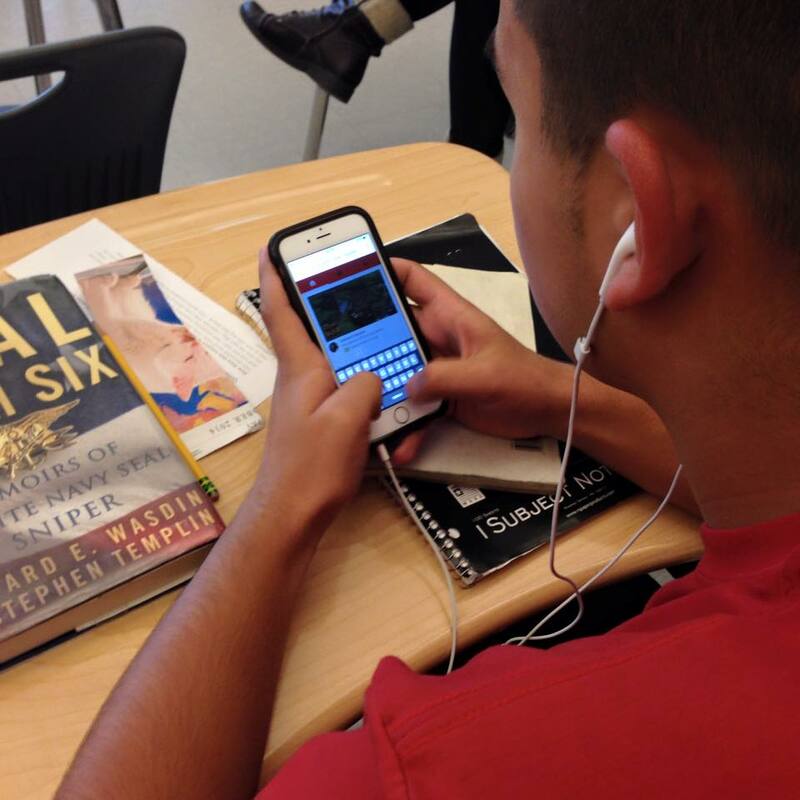 This week, I continued to check in with students who haven’t been joining our discussions. Just about everyone could tell me, but a few told me that the book wasn’t making pictures, and they didn’t get it. But, they said, they were trying. I switched both of those students out and into new books that also have an audiobook option. They’ll be a little behind next week when most students are finishing, but that’s okay. 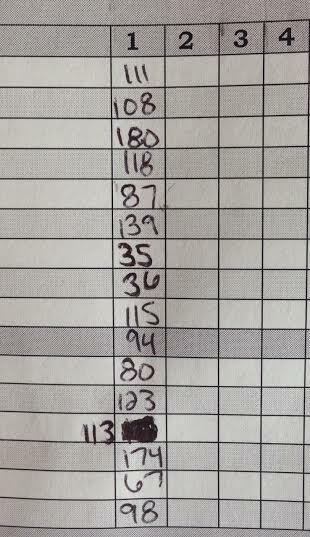 I’ve been keeping stats and recording data. I met with one of my administrators earlier this week and he asked me if I was tracking student progress beyond our discussion points. I jotted down page numbers at the end of class today and yesterday. He told me that I didn’t have to, but that it could prove to be valuable data. I thought about it, and on our last day of class this week, I asked for an honest recording of where my students were in their books. And now I have proof that they’re reading. When I checked in, most students (yes, most) were a little behind, but not by much. At first, it was mega-disheartening to see that most of my students weren’t where I wanted them to be, but, really, what does this data tell me? First, it tells me that even though they’re not where I’d like them to be, they’re actually reading these books. That’s awesome. Secondly, and most importantly, this data informs my instruction for our next genre study. Although my students are making progress, they’re moving more slowly than I thought they’d go. For our next unit, I know that I should cut their assigned reading in half: Instead of two chapters a day, I’ll give them one. Instead of twenty pages a day, I’ll assign ten. I’ve also had a few peaceful (and not so peaceful) protests. I’ve had intense resistance from three students who are actively refusing to pick up their chosen text. It’s not that they can’t read it: they’re refusing to read it. I remind them that they chose their assigned text themselves, and that if they need help, I’m here. I remind them if they want to switch, they still can. I remind them that when they’re ready to try, I’m here. As frustrating as this can be: these three refusing students translate to 3% of my students, which means that 97% of my students are making progress in their assigned books. 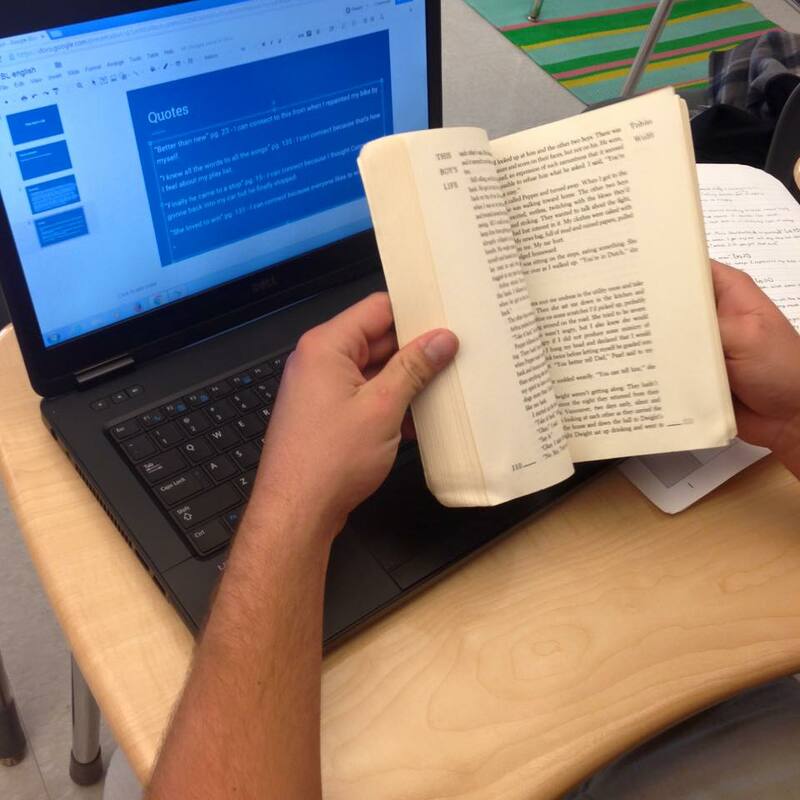 97% of my students are reading their assigned novels, even if they’re moving slowly. What’s more: even though these three students are refusing to read their assigned texts for our genre study, they’re still reading their free choice books at the beginning of class. Even within their peaceful protest, these students are still reading.